The United States Department of Agriculture has rescinded a 2012 ban on inspectors working at what was until two years ago the largest single point of entry for Mexican cattle into the United States. The lifting of the ban signals a small but significant shift in border policy for the agency. After shuttering five border inspection stations in 2012, the USDA is signaling that some places on the border are safe enough to continue its work along this hardscrabble slice of the border. In returning to this part of Mexico, the agency is hoping to invigorate a cattle trade that has been hurt in both countries. For 80 years, Mexican cattle grown chiefly for the American fast food industry has made its last stop on the trip north here, Ganadera Chihuahua in Ojinaga near the Texas border. “This was always the most important cattle crossing,” said Mexican veterinarian Jesus Baca in Spanish. That ended two years ago. Baca thought his career might be over. Until the ban, he worked closely with USDA agents. In addition to his veterinarian duties, Baca is a senior manager at Union Ganadera Regional de Chihuahua, the group that owns the pens. Baca said he had to let go of 20 of his 50 employees since 2012. “That’s 20 families that don’t get to eat,” he said. Baca said expects to take back all of terminated employees now that USDA inspectors are returning to the Ojinaga pens. Citing unspecified security concerns in Ojinaga, the USDA forbade its inspectors from crossing the border here. Before the ban Baca said up to 250,000 head of cattle were checked each year by the USDA at Ganadera Chihuahua. That meant less time time and paperwork to cross into the United States. Since then, ranchers have headed west to an inspection station on the New Mexico border a few minutes west of El Paso, Texas. That added many hours to the trip. And stress for the animals. And when animals are stressed, they lose weight and value. “We can’t get back in one week what we lost over two years,” said Baca. But he’s hopeful. 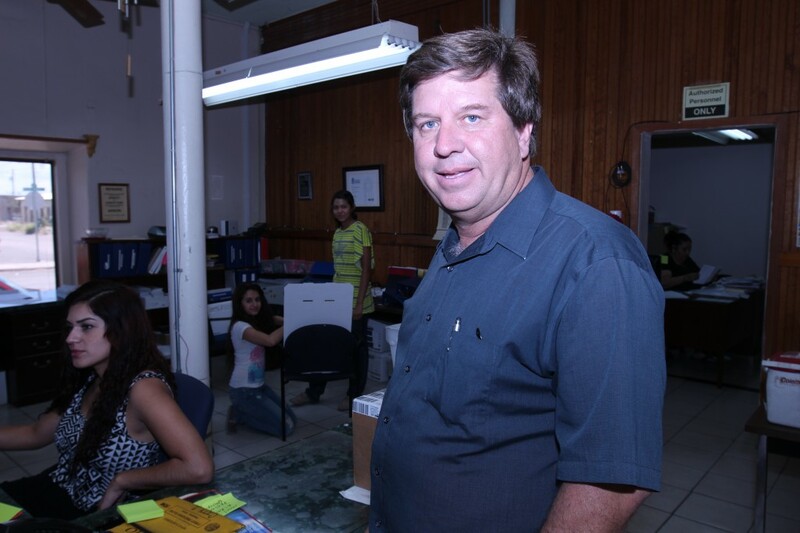 So is Presidio, Texas, Mayor John Ferguson who says he was forced to learn a hard lesson in life and economics. “You don’t what you have until you lose it,” he said. Ranchers used to generate $5 million a year in local tax-generating revenue as they booked hotel rooms, bought meals and filled their trailers with gasoline. “When you hear about all the chaos and insecurity on the border, it’s just absolutely not the case here, ya’ know. Compared to other border crossings it’s just been almost an asterisk,” Ferguson said. There were six murders last year in Ojinaga, a town of 30,000 people. That’s a murder rate of point of less than a fraction of 1 percent. An internal agency memo says “necessary changes have been made” to safeguard American inspectors. “They finally saw the real situation,” Manuel Varela said in Spanish. Varela heads the Alfalfa Producers Union. More cattle passing through means more alfalfa is sold. “Everything in our work is legal and safe,” Varela said. That’s the Mexican side of the story. But there are benefits for U.S. cattle interests too. Salvador Baeza is a cattle broker from Texas. 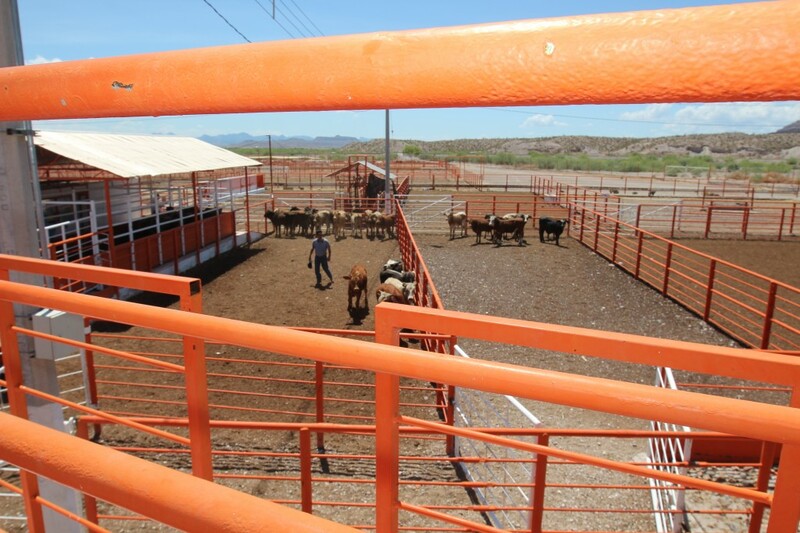 He receives the certified Mexican cattle once the crossing has been completed. He then moves that cattle on to customers in the American fast food industry. “Now we can go back and do business the old way like we used to do. 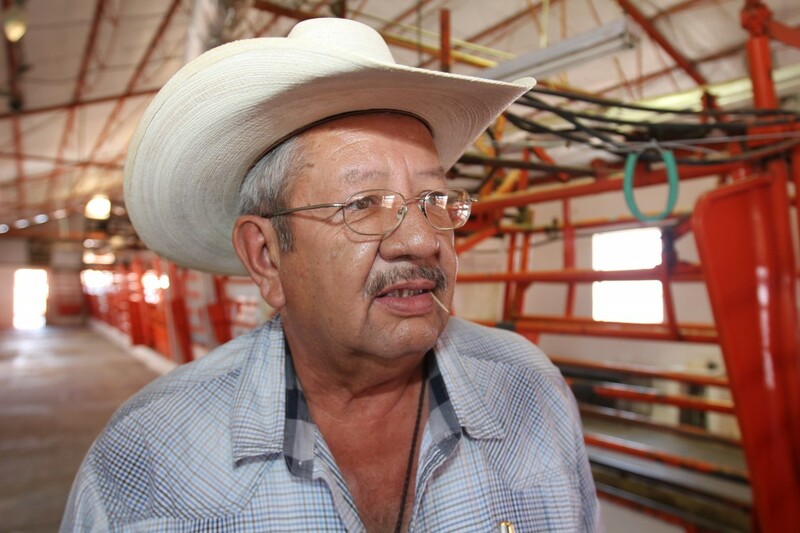 More ranchers will come through here and help the communities,” Baeza said. Economists suggest it will take until the fall before the missing dollars return. That’s when calves born in the spring will be sent to the feed lots in the United States to be fattened before slaughter. This entry was posted in Photography, Radio and tagged border, fronteras, Mexico, ojinaga, usda. Bookmark the permalink.